There are few things that I enjoy more than a good meal, a good drink, and great conversation with someone who I love. If you follow me on social media, you’ll know that I am a foodie. I like taking pictures of food, and I really like eating. My waistline doesn’t approve of this, and neither does my aversion to physical activity. There is a Mexican restaurant in Portland that I just adore visiting. It is called El Sombrero, (the hat). I know it’s a silly name, but Lenore works there, and she is fantastic. This story is about Lenore and how she taught this old dog a new trick. Lenore is one of those precarious personalities you just cannot figure out when you first meet them. She smiles and speaks with a thick accent offering you a booth, a smile, and a kind greeting of “Hola amigo.” She was my first and subsequently my only server when I go there, and, I go there at least twice a week. They have daily lunch, and the three enchiladas with beans and rice for $11 is my immediate choice. You see I rarely if ever actually finish my plate. There literally is too much food! I was eating like I was eighteen. I did not need three enchiladas but I was used to it, and I wanted more. I was Verruca Salt stomping my foot demanding in my mind that I deserved more than I needed. I mean the restaurant was not going anywhere; I could come here anytime I wanted to get food, why did I feel the need to overindulge? We see the same thing in sourcing, and recruiting don’t we? Sure we do, and I am willing to bet that most people are reading this offer that third enchilada to your manager. I used to. I would flood the inbox of my managers with all sorts of qualified, resumes for their open positions. They got used to it. They learned that there might be better people out there than what they have in front of them. Seldomly, they are correct, but if you are doing your job correctly and screening the right way you should be able to filter out the resumes of the people you know are not going to be a fit and get that manager to realize the value that you bring to the table. 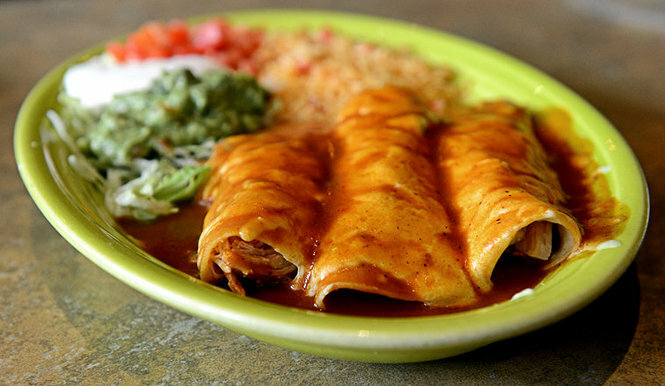 Giving them more resumes when they are in the process of interviewing is like having that third enchilada. It is wasteful, of your time, the candidate’s time, and the manager’s time. They don’t need a third enchilada or another resume when their plate is already full. The opinion I have and have had is we can do better and be better in supporting our teams by garnishing their support, not their resentment. If you offer a genuine talent that they are excited to see, you can begin to break down the walls of dissatisfaction with not only the managers but the process as well. Next time you run into the voracious manager, show them this post to help them understand more is not always best.